Discussion in 'PC Tricks, Tutorials, Softwares And Solutions' started by ᶜᵃˡˡ ᵐᵉ Lord MeXz3, Mar 19, 2011. Many computer users rely on the Windows Update tool to keep hardware drivers current. Unfortunately, Microsoft does not monitor each and every piece of hardware on our systems as we would like to believe. Downloading individual drivers for hardware components can take more time than many of us are willing to invest. 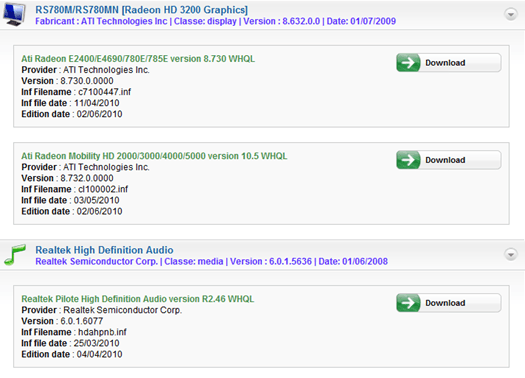 A site called www.Ma-Config.com can scan your system and show you exactly which hardware components need fresh driversâ€”and lead you to the official driver download pages. Ma-Configâ€™s Web site and software are written in both French and English, often at the same time. Everything essential appears in both languages, so do not let your first look at the Ma-Config home page deter you from using their service. To start, click the big green button on the right that says Run The Detection. On the next page, you are prompted to download the Ma-Config software. It is VeriSign approved, and only needs to be downloaded the first time you visit this site. Click Manual Install to download the software. Once it is downloaded, run the install program. 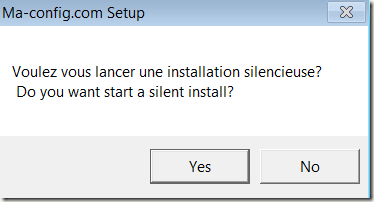 The install program appears in both English and Frenchâ€”again, everything essential is in both languages. Once the software is started, it communicates with the Ma-Config Web site to create a summary of your computerâ€™s hardware. This takes a minute or two, and will appear in your open browser window. You can choose to save this summary as a PDF, or simply ignore it and check for driver updates. To check for driver updates, click the Find The Drivers button at the top of the screen. A big green button will appear to the top right that says Findâ€”click it. The next page asks you to choose which operating system with which the drivers should be compatible (by default it chooses the OS you are currently using), and whether you want to download just drivers more recent than your current drivers, only WHQL-Certified drivers, and/or drivers in Beta. After you have made your selections, click Search. 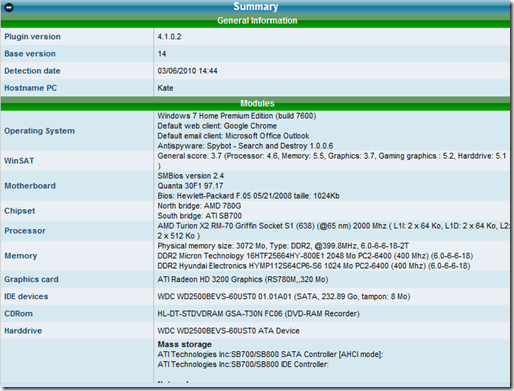 A new report appears showing which of your hardware components need driver updates. Click the Download link next to any of the suggested drivers and you are sent to the TousLesDrivers.com site, where you can read driversâ€™ specifications before downloading them from the manufacturersâ€™ official sites. Alright dude you check it out!! !